It's been a great week for STS para shooters! At the Scottish OT Championship held at Glenmoriston Shooting Ground last weekend the great weather on Thursday and Friday gave way to a bit of a soaking on the Saturday, but STS member Allan Ritchie managed to come away equal 7th in a field of top quality able-bodied shooters - Allan was quoted as being "very happy indeed" with the outcome. 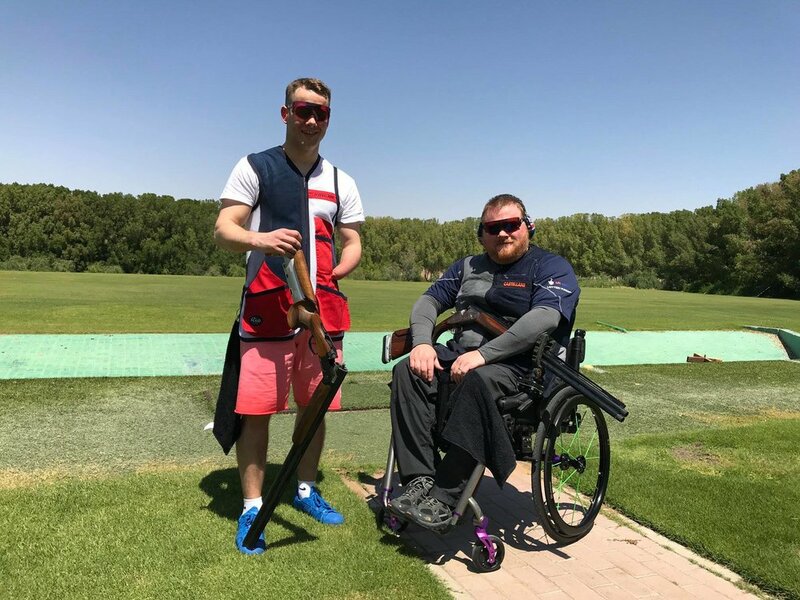 Around the same time, British Shooting then announced its selection for the World Cup in Chateauroux, France, in September and Allan was confirmed as being selected for both the individual and team seated events. As part of the same announcement, Allan and another STS member, Mike Drever, were also confirmed as being selected to represent GB at the World Championships in Lonato, Italy, in October with Allan once again competing in the seated individual and team categories and Mike as the only athlete selected to compete in the Standing (Upper) category. STS wishes to congratulate all those who were selected but in particular STS members Allan Ritchie and Mike Drever for a fantastic achievement. We wish the GB team well! See the full list of athletes selected by British Shooting.